The third post about the PLAN phase of the Building Blocks for the New-Era Business revolves around strategy. In the previous posts (listed below), we took a look at tools to develop a business model and a financial model in order to help define the market and financial viability of your ventures. In this post, we will look at the basics of strategy and talk about our own Strategy Kit that we developed to facilitate strategic thinking. If this is the first post that you have read in regards to the new-era business, then it’s important to explain what the new-era business is all about – shaking things up. Rather than operating businesses on old-world principles that lead to the same disastrous results (on a societal level), we are focused on reinventing the way businesses are formed and building brands that matter (see post #BBTM Build Brands that Matter). The Strategy Kit is an experimental tool, created to help formulate strategies in a creative and collaborative manner. While the business model will help you define what you want your venture to become, and the financial model will help forecast its financial viability, the strategy is the how. How do you intend to move your venture into the market? That’s the fundamental question we want to answer. The theory that underpins our Strategy Kit is taken from the book Blue Ocean Strategy. The Blue Ocean Strategy was introduced in B-School, along with several other strategy theories. The problem with strategy theories is that like economic models, it is very difficult to prove their validity, meaning that the majority tend to fall out of favor over time (ie. Porter’s Five Forces). 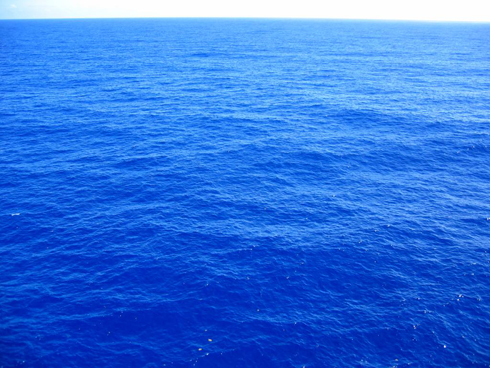 But the Blue Ocean Strategy, while theoretical and academic in certain ways, does take a fundamental approach to strategy that is hard to argue with – find blue oceans. Look at your external environment and identify the most important external factors that shape it. Boldly move in the direction that feels right (based on a mix of factors). It’s better to put your energy into one strategic move rather than diluting yourself across many different paths. Despite your best efforts to map out the environment, take a direction and put a plan in place, there will always be unforeseen events or variables that throw the whole plan out of whack. Therefore, it is essential to conduct a scenario analysis. Along with briefly explaining each of these principles, we also created a set of seven key questions. We developed these key questions because we think the best approach is to analyze the assumptions that underpin the strategy rather than the strategy itself. It is purely a judgment call as to whether a strategy will work or not, as one could argue that many of the best business strategies are intuitive. But someone can very quickly breakdown a strategy’s chance at effectiveness if they can take a look at the assumptions the ‘strategist’ has made.